*Disclosure: Megan at Housewife On A Mission was sent the following items mentioned in this post at no cost in order to facilitate her review. All opinions are her own and were not influenced. If you're looking for a healthy snack loaded with fiber and protein, that are also gluten free and free from the top 8 food allergens, Beanfields Bean & Rice chips are for you! They come in 7 delicious flavors and are Non-GMO plus Vegan! We had the opportunity to test out Beanfields Bean & Rice Chips last Summer and instantly fell in love with them. We also held a giveaway for one of our followers to win a case, you all loved that giveaway as well! 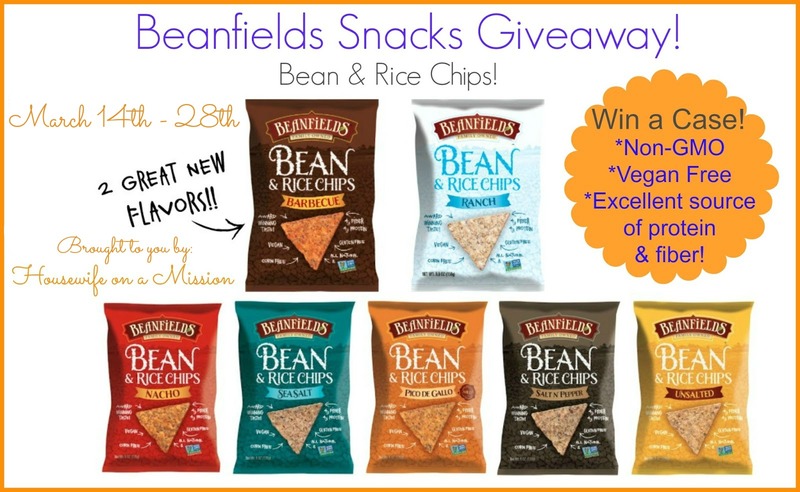 We're excited to team up with Beanfields Snacks once again, to offer another giveaway to our readers! As you may already know, my daughter has a severe peanut allergy. Once we saw and learned last Summer that Beanfields' Bean & Rice Chips are peanut and tree nut free, we couldn't wait to introduce their chips to our daughter. 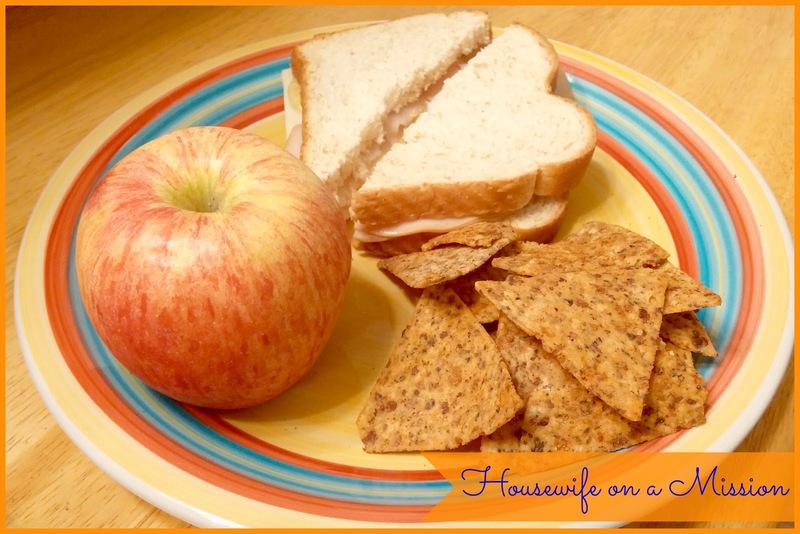 There are not a whole lot of options when it comes to safe snacking for our daughter-- a lot of snacks are made in the same facility as peanuts or tree nuts if they do not contain them, which means possible cross contamination. The Bean & Rice Chips are shaped in triangle like Tortilla chips, but are completely corn-free! Instead, they are made with beans, rice, high oleic safflower or sunflower oil, plus spices! They are actually known as the vegan alternative to Doritos. Out of the 7 flavors, I would say that Pico De Gallo and Salt N' Pepper are my two favorites! My husband likes the Pico De Gallo flavor as well and also really likes the Nacho Bean & Rice Chips! My daughter's favorite flavor is the Ranch, which does not surprise me at all. She LOVES Ranch! Regardless, all the flavors are great and are pretty much addicting! These chips are definitely a winner for our family-- they are safe for our peanut allergy daughter, healthy and are great tasting! Which by the way, Beanfields' Bean & Rice Chips have won more than several 'taste awards'. Buy It: You can buy Beanfields Bean & Rice Chips at a store near you. Use this link to search for a store near you! 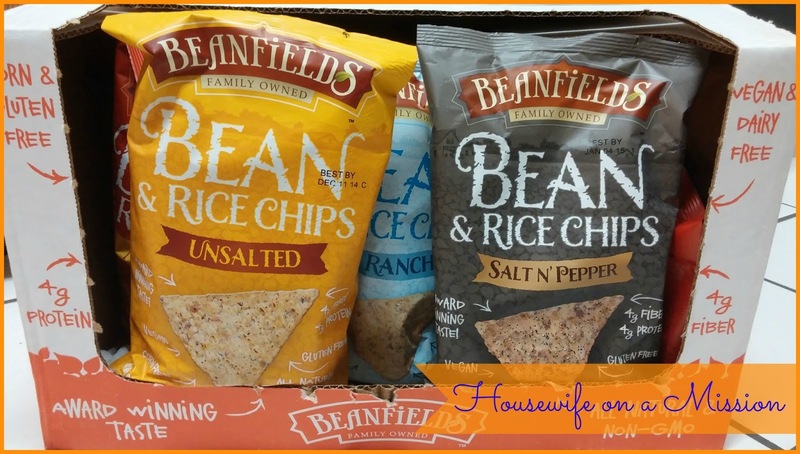 One of our readers are going to win a case of Beanfields Bean & Rice Chips! Open to US residents only, ages 18+ and ends on 3/28/15 at 11:59 PM EST. *Disclosure: Housewife on a Mission is not responsible for prize fulfillment or shipment to winner. Winner will be drawn at random then emailed and will have 48 hours to respond to claim prize. If no response is given, another winner will be chosen. Facebook, Twitter, Pinterest, and any other social media are not affiliated with this giveaway. I'd love to try the classic Sea Salt Rice and Bean Chips! I'd like to try the barbecue and the ranch. I love those flavors in chips. Salt and Pepper or Sea Salt! I want to try the Barbecue flavor. I can't wait to try the Salt & Pepper flavor. Thanks for the giveaway! I really want to try the Nacho flavor. I would really enjoy the Sea Salt Flavor. I'd love to try the Nacho flavor chips. I voted. Also -- I would love to try Nacho flavored. I would like to try out the Nacho Flavor. I can't wait to try the Nacho flavor. We are craving some queso dip and the Nacho flavored chips! I would love to try the Nacho. I love that flavor. The others sound good too. I personally would love to try the new Barbecue flavor. I also would love to have the Unsalted variety in my home for someone who is on a sodium restricted diet. This would be a super option for him.